Everyone knows that librarians are tough, gritty, rogue characters who will fight to the death in defense of the First Amendment. But did you know that the last week of September, librarians and readers everywhere celebrate the freedom to read? That’s right folks, September 25th marks the first day of Banned Book Week, a national event where we commemorate and celebrate books that have been challenged or banned by bookstores, schools, and libraries across the nation. Some famous banned books you may have heard of include J.D. Salinger’s Catcher in the Rye, To Kill a Mockingbird by Harper Lee, the Twilight series by Stephanie Meyer, and even Dav Pilkey’s Captain Underpants series. Banned Books Week began in 1982 as a response to a sudden increase in the number of book challenges happening across the country. The ALA defines a challenge as an attempt to remove or restrict materials, and a ban as the removal of those materials. While book challenges may come from a sincere and well-meaning attempt to protect readers from content that may be deemed too sexual, violent, profane, or offensive, the line between protection and censorship is a fine one. The ALA states that only parents have the rights and responsibility to restrict what their own children read, so libraries fight censorship by refusing to ban books. 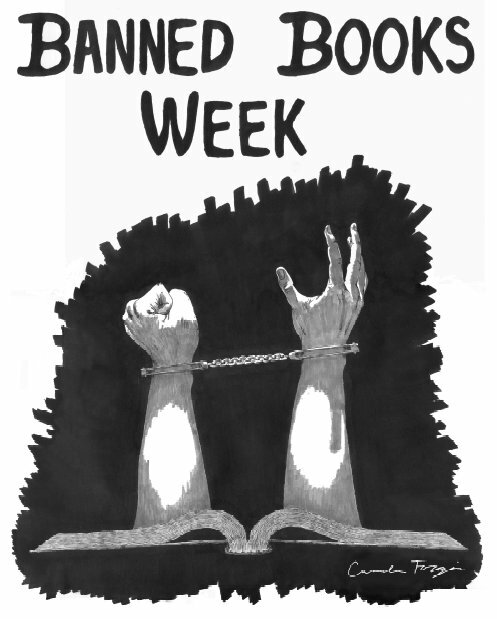 So what can you do to celebrate Banned Books Week? You can come to the Monroe Library and see our display of banned books, check out the American Library Association’s list of frequently challenged books, or find a Banned Books event either local or online. For more information, visit the American Library Association’s Banned and Challenged Books page and Banned Books Week.